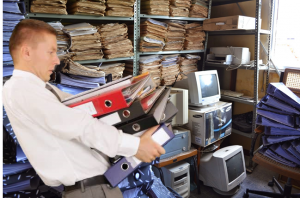 Don’t Waste your office space with non-active files, store them at our warehouse. Let us manage your files for you! Outsource your file storage to us and free up your office space for more productive use! We have a Secure Warehouse Facility with complete Records Management Services to help you better manage your files and documents! FILEforce now provides External File Storage Solution and Services to cater for offices that are running out of storage space. Why keep non-active files at your office when you can use the space for more productive purposes? Let us help you to keep and manage your files. 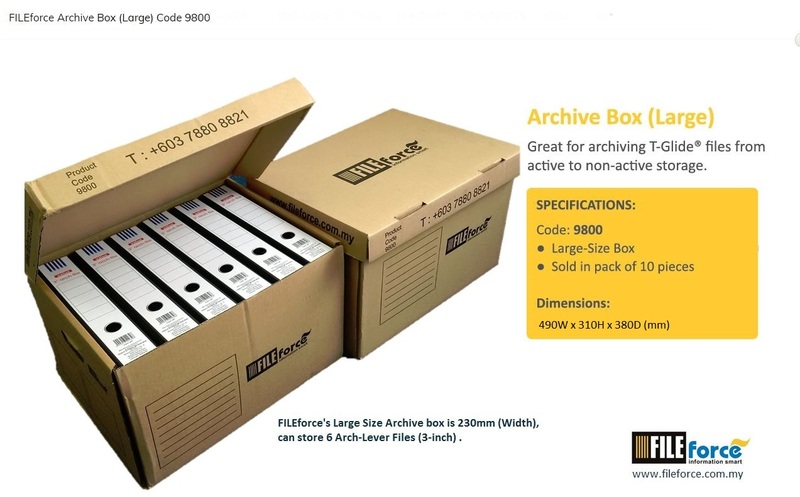 Call us for your archiving and storage needs today! Deliveries are available within Klang Valley, Selangor. Other areas can be arranged upon request. 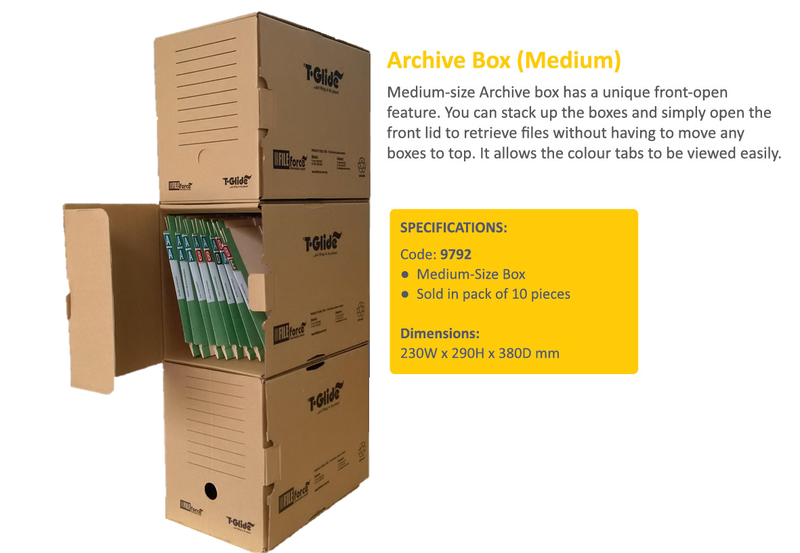 We have standard durable archive boxes : Large size – top open archive boxes for non-active records, Medium-size Front open archive boxes are our most popular items, you can stack up the boxes and simply open the front lid to retrieve files without having to move any boxes on top. It also allows the colour tabs to be viewed easily. We also supply Boltless Racks that are customizable to fit your storage space. Need to rent an external storage for your archive files and document? Call FILEforce today. Our experienced and professional consultants will assess your filing and storage requirements, and provide you with a competitive quote. Records and Documents Archiving Registry (RADAR) provides complete physical records management with time‐saving tools for all staff. It provides an enterprise solution automating multiple file rooms, multiple departments, across multiple locations. 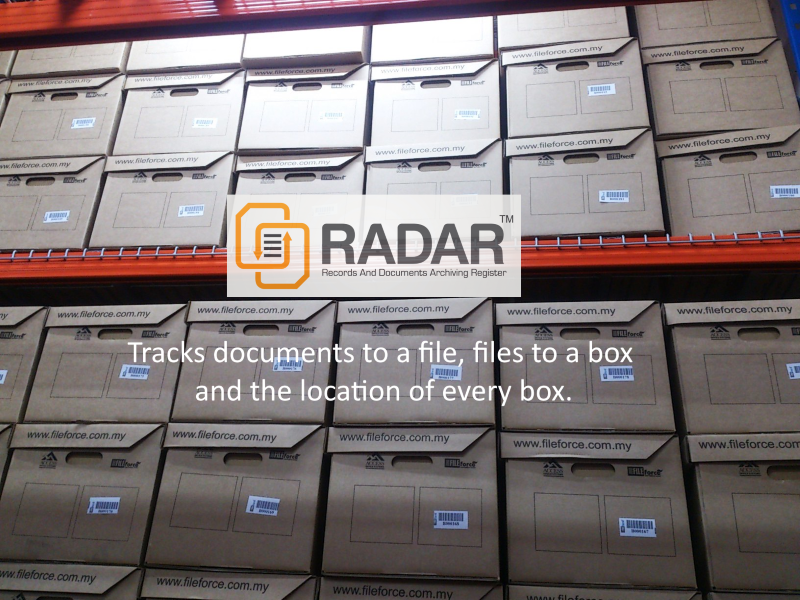 RADAR is a very powerful registry system which provide organisations with a quick, easy and simple way to track their documents to a file to an archive box and finally to storage and destruction. 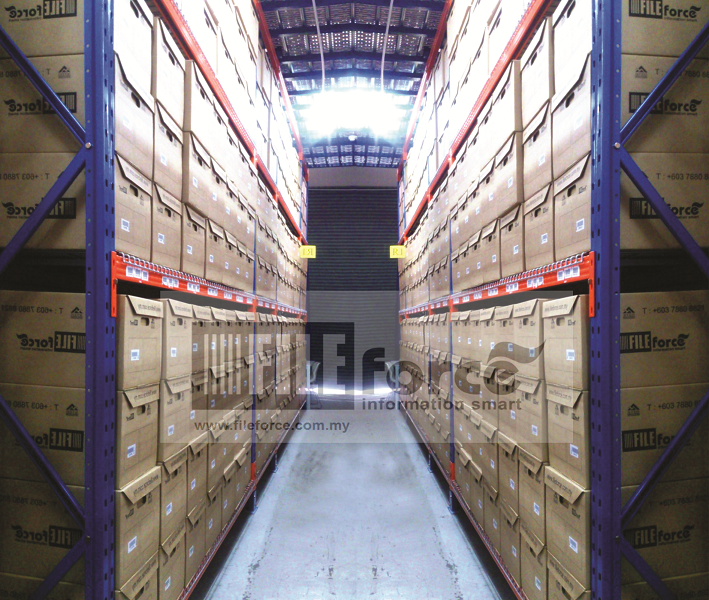 It enables organisations to effectively manage and communicate with their offsite storage providers. You can safely and cost-effectively dispose of sensitive paper documents. Paper shredding and document destruction services are available either at our premises or at client’s premises if required. Understanding the very sensitive nature of your files and documents, we can arrange a secure way of handling the destructions at your premises. From small professional office to large corporate or Government environment – We can help! We provide a total Solution including the file preparation, there will be no disruption to your works and allowing you to focus on your business when we do it all for you.